Since my past post was about wandering on some back streets, I thought I would keep that theme alive for today's post and share an image from Malmo, Sweden. Once again this was just me stumbling around, wandering, being sort of lost and disoriented - but all the while very happy to be firing brackets at interesting things I encountered. 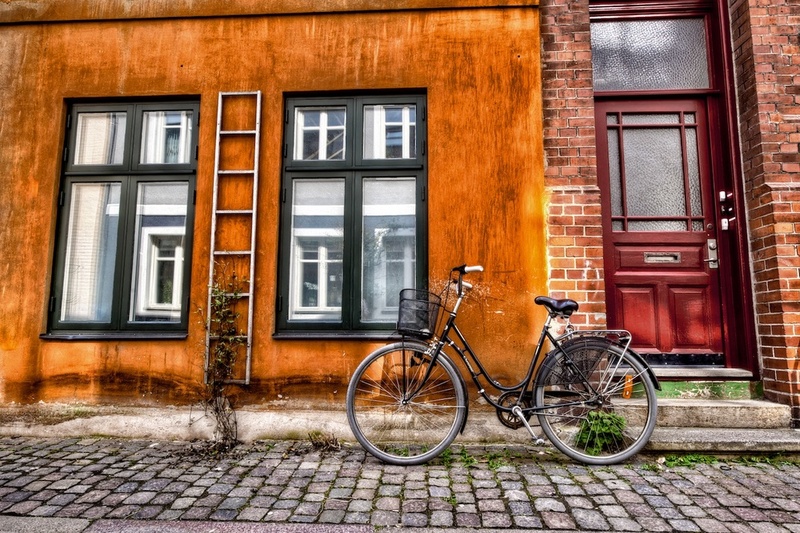 When I saw this bike and the old but colorful walls, I was ecstatic!